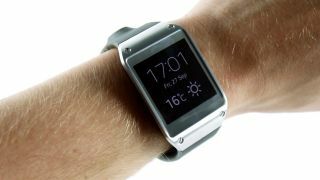 Over 30 per cent of customers buying the Samsung Galaxy Gear smartwatch don't like it enough to keep it, according to leaked internal documents from a major US retailer. Although Best Buy has been selling plenty of Gears, alongside Galaxy Note 3 smartphones (the only compatible device at launch), they're being returned in droves, the documents revealed. "The Galaxy Gear attachment rate within Best Buy is the highest among all channels; however the overall return rate is trending above 30 per cent," according to the leaked papers. That would suggest plenty of consumers are intrigued by the device, but are getting it home to find that they don't really have much use for it, or that it doesn't live up to expectations. Either way, it's a worrying stat for Samsung, amid a host of poor critical reviews. Reports claim Best Buy is calling Samsung specialists in to get to the bottom of the high return rate. Help could be on the way for the device though, as the Best Buy documents states that support for more Samsung handsets is on the way with the forthcoming Android 4.3 Jelly Bean roll-out stateside. The information obtained by Geek.com shows the Galaxy S3, Galaxy S4 and Galaxy Note 2 will be compatible with the Galaxy Gear smartwatch by the end of the year as part of the update. Internationally, Gear compatibility has already reached the Galaxy S4, while a host of other Samsung handsets will receive the update by the end of October.